This is a crochet project for those, who REALLY get into the Valentine spirit. It has a prominent heart motif, and is almost too cute and sweet. 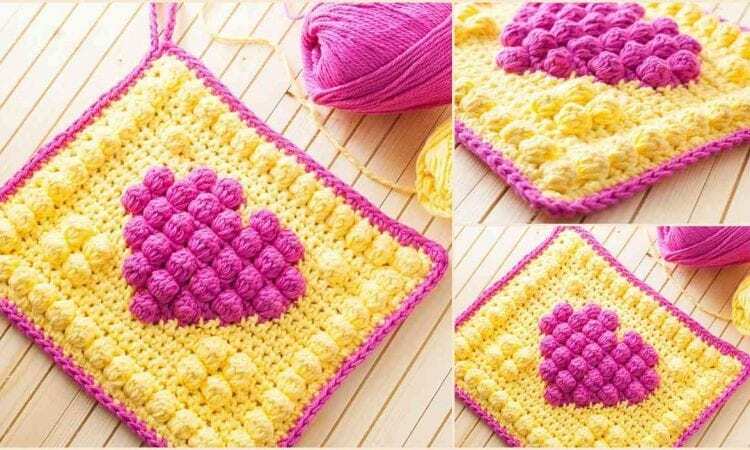 This potholder is also easy to make and very attractive as a decor in the kitchen. It may be a perfect project to get your young daughter into crocheting. A link to the free pattern is at the end of the post.